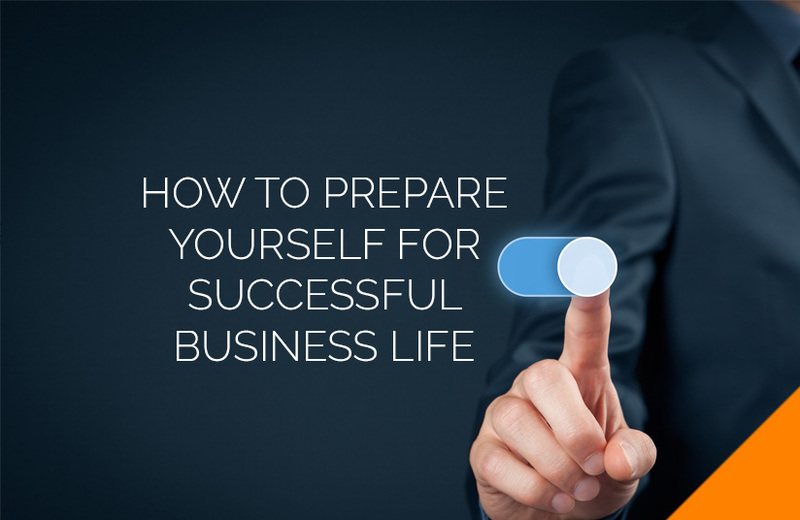 Successful Business Life : How to Prepare Yourself? Everyone knows to have a contingency plan for when things go wrong in business. It is the most basic thing—prepare for the worst. But, how many people actually prepare for a successful business life cycle analysis? Have you prepared yourself for success and growth in your business life cycle? You need to prepare to succeed. Are you ready for what success might actually bring you? For instance, are you prepared for when your products gain recognition and sends sales through the roof? Are you ready for what that will mean for your operation and business? It is important that you know what growth means for you and your company. In order to really gauge how successful you are, you could approach top market research companies and get market research done. Growth is more than just a set of numbers. When your business grows, it means changes to your company in terms of sales, operations, management, production, staffing, and facilities. You need to define growth—both personally and professionally. What will your business be like? What will your life be like? How hard do you have to work? Are you ready to go the mile to sustain a successful life? Successful owners of growing companies are almost always in the limelight and center stage of attention within their business circles. Be prepared for a certain level of attention that you probably haven’t received before. Keeping abreast of technology is a pre-requisite if you want to prepare for successful business life. Technology and business go hand-in-hand nowadays. It helps in automation of operation, enhances business security, helps in monitoring employees, affects the ability to communicate with customers and improves overall business efficacy. It plays an important role in bringing convenience and speed in the business life cycle. Your employees are what makes a company successful—keep them happy. Recognize hard work and reward it. Happy employees mean a more productive environment, and hence a thriving business. It brings out the best in them. And because of your happy employees, you have a solid recipe for success, and over time, you will find that your business revenue has increased significantly as a result of the increased productivity of your employees. Engage your employees in a positive manner and create a work environment where people are willing to give their best. Take care of anyone and everyone who can have an effect on your business. In continuation of the above point, it is vital to hire the right person for the right job—whenever and wherever required. Also important is to give them adequate training, so that they are able to give their best. This contributes to the growth of the company and continued success in the business cycle. Give your employees ample access to educational and professional development opportunities. In order to prepare for successful business life, it is important that both you and your employees are challenged constantly. It is important for both of you to be on track with the latest advancements. Always, always listen to expert advice. You may have an area of expertise, but you don’t know it all. What’s more, there often will be experts who know more about particular aspects of your business better than others. Listen to the knowledge and experience of your mentors. It is important to identify the experts in your industry, listen to what they have got to say and learn from them. This will help keep you on the track to success. Recurring and new customers are the reason a business keeps running. No customer means no business. If you don’t stay close to your customers, chances are you will lose them. Research what they want and need and prioritize them. Do everything you can to give them your best service. Most importantly, communicate. Keep them up to date of events, sales, etc. Build an emotional connection with your customer. That emotional connection will make your customer want to come back to your business. It’s those attachments that link customers to your products or services. Prepare to succeed—be focused and never remove your eyes from the goal. Above all, focus on your core business and don’t get distracted. Stick to the product or service you know best. Stick to that which your business is known for. Any diversification or product line expansion should go through several stages of analysis and market research. If need be, hire any top market research companies to help you with market research and arrive at a conclusion regarding any new product. Test the waters before you dive. If it has nothing to do with your core business, then it is not worth it, even if it seems like a good opportunity. It is business 101—the faster you grow, the more cash you will need. Financing for series B is every bit as hard to obtain as series A or startup funding. Know how much credit you are going to need well before the time comes. Do regular cash flow estimates—it will give you an idea well before you need to approach your funding source. Develop and maintain strong relations with your investors. As with any business plan, have primary and backup sources for funding available. Consult with a business plan consultant and have a financial business plan for all stages of your business at the ready. With the recession coming ever so close and the given financial scenario, it is harder than ever to predict credit availability, so stay on top of your game and be prepared. Give yourself plenty of room to maneuver your financial needs. It is important to have self-confidence in business and have a contingency plan for when things go wrong in a business, also plan for when you succeed in business. When you are prepared for growth, you can better manage and maneuver the various challenges that come with being successful and reach your business goal more smoothly. Ourbusinessladder provides business advisory and consulting services to help businesses improve their sales, performance, and efficiency. We analyze businesses and come up with solutions helping companies meet their goals in a more effective manner. We also happen to be one of the top market research companies in India. We have helped several startups in their business journey and have helped established businesses with their business agenda.